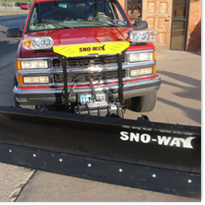 We can customize your plow blade to any manufacturer's width and length. 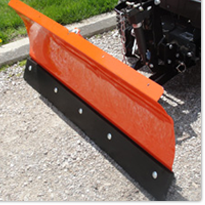 We can ship the plow blade with the bolt pattern drilled out or send it stock. Urethane wings have a five times higher abrasion resistance than rubber wings. Using urethane wings made from a special formulated compound will reduce labor cost and downtime. Example of snow plow blade used on a ATV. Example of snow plow blade used on a tractor.